Hyperlinked Greek and Latin texts including the Greek New Testament and Latin Vulgate. Premier database for searching and browsing text of virtually all of ancient Greek literature, including the New Testament. A feature of Open Scriptures which allows comparison of different editions of the text of the Greek New Testament. On-line version of the classic standard by Christian Classics Ethereal Library. The only extensive English to Greek Dictionary available in English in searchable format from the University of Chicago. Eminently searchable and highly user-friendly access to Aleph, the queen of the manuscripts. On-line lookup tool giving information on Greek words behind the English text. Useful on-line articles covering a variety of topics on textual criticism. Excellent on-line audio help for beginners for the pronunciation of ancient Greek. Classical Greek dictionary complete with morphological analysis. Dr. Mark Goodacre's excellent site is perhaps the best place to go for tutorials in Unicode and other Greek font options, as well as offering many other links for NT studies. Free MP3 audio-files of the New Testament in Greek and Latin Vulgate. Free online Greek tutorials for beginning students of New Testament Greek. Free online Greek courses from "New Testament Greek Network". Greek text of the New Testament online. 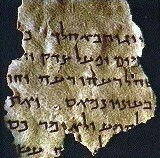 Images of many NT mss. and papyri, including, notably, Vaticanus (B). Sound files of the Greek New Testament.